A trained,honest to good, respectful cps worker would never, as a CPS employee would engage so willfully, recklessly and or knowingly with malice, engage in unlawful, unconstitutional acts that would hinder, compromise,hamper investigation involving a false allegation made by usually a ex spouse,ex fiance,girlfriend et.al., a neighbor and or someone who simply has it out for you, usually premise on jealousy, and or downright troublesome individual. The inequities insofar as,when cps become involved with your family are not in any way unclear everyone. 1-929-277-7848. "Enough is Enough and instituted such lawsuit(before their deadline) along with her son, pursuant to damage(s)under section 1983; 1986; 1985, against C.P.S. and we are so happy to learn recent, the suit has been settled." Winter:(2013)Parent sue for damages to child(son) and damages for the loving parent(s)of the child." ANOTHER LAWSUIT WON AGAINST A CPS WORKER FOR THE DESTRUCTION OF ONE'S HOME, proving what we all know." 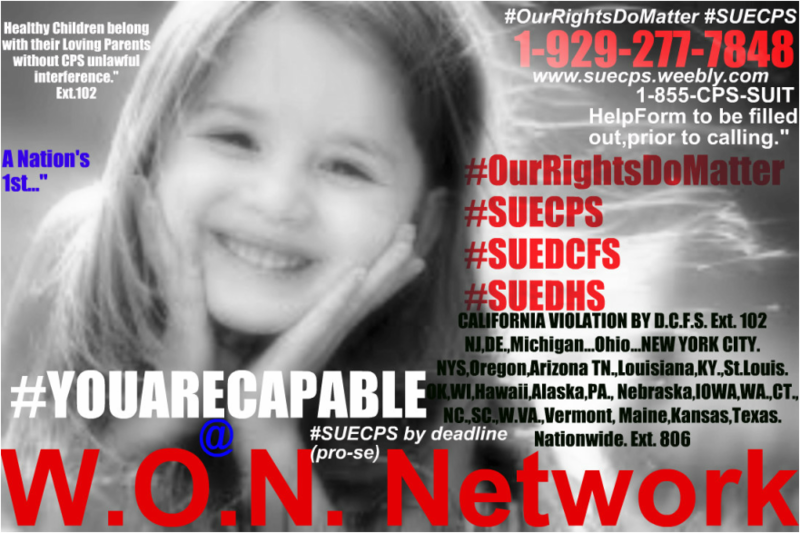 More details coming soon, so stay tuned & when you're suing cps remember there are various DEADLINES throughout, but can be done! Good luck to you all. Help Form, must be filled out,and submitted to our busy ctr., or no call shall be connected. Click here,as you continue to read below. 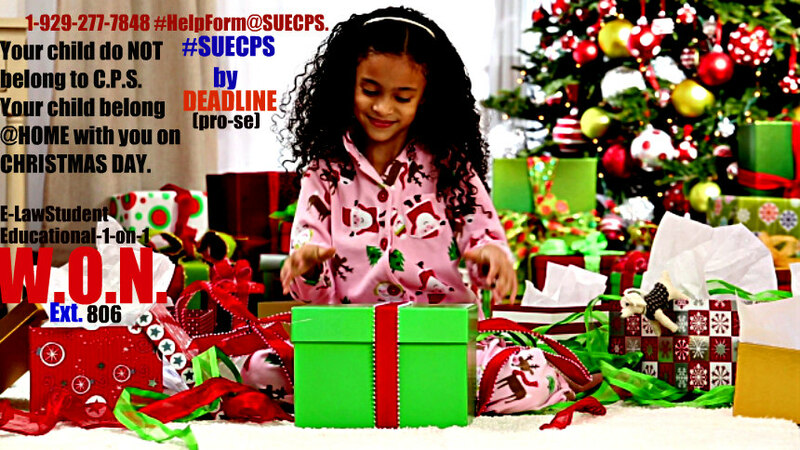 DEADLINE TO SUE EMPLOYEE @ CPS per violation,do exist. Another holiday is here. Thanksgiving, Christmas has arrived. Children suppose to be home with you. DCF employee can care less. Sadly.... another parent somewhere in California, Indiana, ARIZONA,Colorado, NJ, NY, NC, Oregon, Wisconsin, W.Va., to Connecticut,Nevada, MASSACHUSETTS, Delaware,Michigan,Maryland,NC.,SC.,PA., Ohio, St.Louis, MN.,Tx.,Georgia, and nationwide are being forced-violated by living without their child at home, whose being subjected to abuse, while in state foster care and or placed at high risk living with an unstable family member. Such constitutional right of the family is not in any way unclear.